Schedule Your Pet's Appointment Today! For a trusted veterinary clinic, providing focused and general services for your pets, All About Pets is the only name to trust in Purdy, MO. Doctor's Harkey and Phillips and the trained staff at All About Pets will look upon the health and well-being of your beloved pets. Our staff has over 30 years of combined experience. Bring Your Pets To Us! 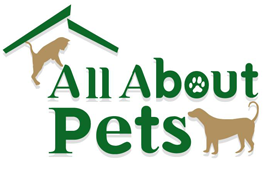 All About Pets is your best choice for veterinary services, covering your pets healthcare from head to paw. We are located in Purdy, MO and we serve its surrounding areas. Like us on Facebook and contact us to book an appointment for your pet. We are open Monday to Friday 7:30 AM - 6:00 PM and Saturday from 7:30 AM - 12:00 PM. Just call 417-442-PETS (7387).